Rarely does a band arrive on the scene so fully formed that you have to do some research into them to find out a little history. In the case of The Necromancers, that is exactly what they are and judging from this debut release, Ripple Music have hit upon the jackpot. 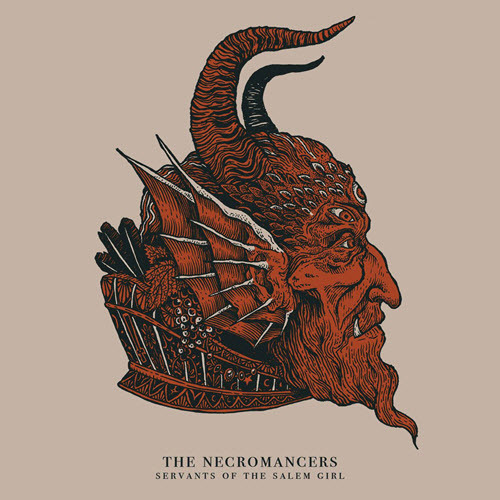 Already home to a tremendous bunch of bands, The Necromancers may yet find themselves venerated as the greatest of all. That’s for the future and it could so easily fall apart but for one glorious album, Servants Of The Salem Girl, they have made what amounts to the best debut release so far this year. An album of unapologetic good time rock and roll, with a hefty dose of satanic nonsense, the French quartet draw on inspirations from European literature and film to fill their songs with menace, evil, but most of all, fun. Like Uncle Acid used to be, this is music which knows its core audience, knows its core themes, and are going to enjoy every single minute of it without taking it too seriously.